Beautiful trim on antiqued wooden spools! 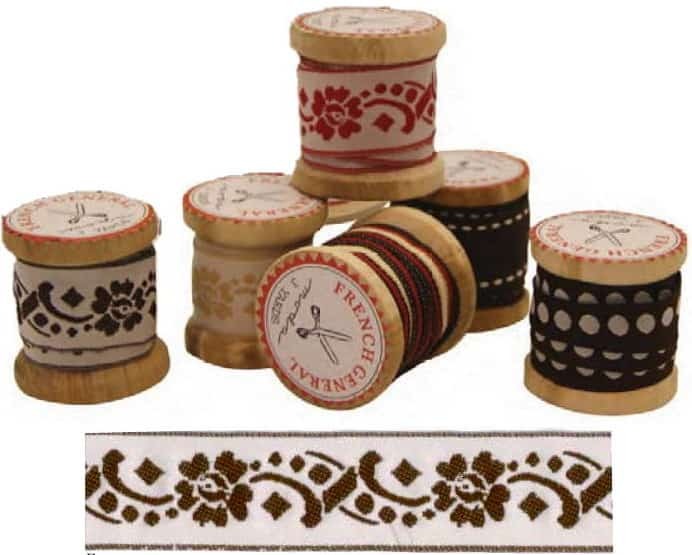 French General Trim 1″ Brown Floral. 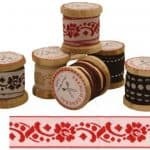 Three (3) yards of the trim shown in closeup on the bottom of the picture will come packaged on a antiqued wooden spool as shown. 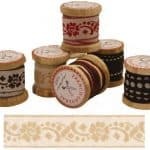 These trims are the perfect or any sewing/craft project, make a great gift item, and match the Maison De Garance Collection by French General. More in this collection in our store while supplies last. Use store search engine to find.